Leave your Paris accommodation at 8 a.m. for a minibus journey to Versailles; arrival scheduled for around 9 a.m. The number of participants is limited to a maximum of eight to allow you to enjoy a tailor-made excursion with your driver-guide. One of the most famous historical monuments in the world, the Palace of Versailles was the official residence of the Kings of France Louis XIV, Louis XV and Louis XVI and their courts from 1682 to 1789. Your guide will show you the majestic Palace of Versailles, a symbol of the king's power. Its Baroque architecture, sumptuous decoration, works of art, and furniture were all created by the greatest artisans of the age. After touring the palace, explore the magic of its formal gardens and exceptionally beautiful grounds. The Palace of Versailles has more than 700 rooms and stretches for over 721,000 square feet. Follow your guide straight to the front of the line to visit the palace's most beautiful rooms: the King's Grand Apartments, with seven rooms dedicated to different gods (Apollo, Mars, Mercy, Venus, etc. ), and the Queen's Grand Apartments, mirroring those of the king, which include the Coronation Room and the Queen's Bedroom, once occupied by Marie Antoinette, among others. 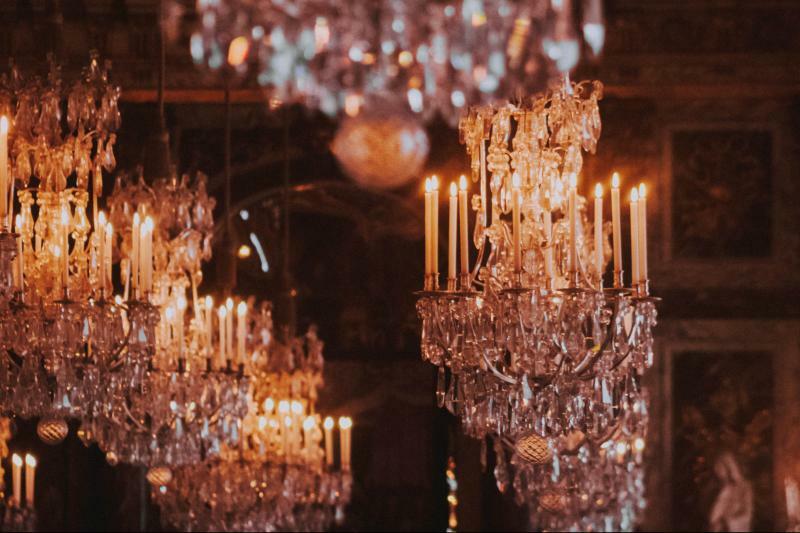 Also, admire the grandeur of the Versailles Hall of Mirrors, a unique room in which guests were received and impressed, designed by the famous architect Jules Hardouin-Mansart. Almost 240 feet long, it was created to dazzle visitors to the Sun King, Louis XIV; it is lit by 17 windows and some 350 mirrors and overlooks the palace's breath-taking gardens, the second part of your visit. In 1661, Louis XIV commissioned the landscape architect André Le Nôtre to lay out the grounds and gardens, something that was just as important to the king as the construction of the palace itself. Enjoy your free time strolling through the Gardens of Versailles and admire the 386 works of art (including more than 200 statues), fountains, flower beds, ponds, and trees. During the Summer months, a range of activities is organized, such as the Grandes Eaux Musicales, when the fountains are made to dance to music. You will return to your Paris accommodation at approximately 12 noon.